I bought this book quite awhile ago but did not have the urge to read it, though I did try. I picked it up again about five days ago and found it a wonderful and much needed read. It is a part of a larger integration series that attempts to integrate the Christian life to various areas of living. This book deals with the integration with our work and career in the business world. 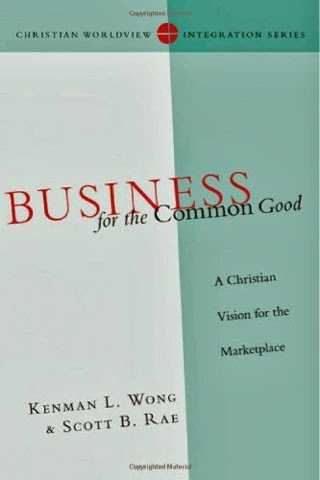 Its conviction is that "business, from a Christian viewpoint...is a calling to transformational service for the common good", using the Scriptures as a compass to guide us in our work life. I have been trying to figure out the theology of work for awhile now and this book certainly served to help me understand better what I do and how I can live out my Christian life more holistically and faithfully in all areas of my life. This is indeed a must-read if you work in the marketplace.